Aiyer writing about ethics and transparency, maybe he has changed. 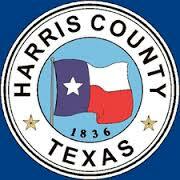 Kuff, many areas of Harris County are not served by Metro. Are you suggesting that those areas start collecting the Metro 1% sales tax? Do you want Metro service in the outlying suburban areas? Maybe Lina can audit Ed Emmett’s new course at Rice, to learn how to county judge! Who cares what Jay Aiyer thinks? He was chief of staff for Lee Brown and elected to the Houston Community College board. No wonder. He worked with Gordon Quan at Foster LLP. Not like Gordon Quan had any real ideas while on city council. Aiyer seems to ignore the fact that Counties do not have the power to a bunch of what he’s supporting.